China Crackdown: Read my lips… No Lip-Synching! China has told artists on its annual top-rating TV gala show on Chinese New Year’s Eve not to lip-synch their songs, local media reported on Thursday, a controversy that overshadowed the Beijing Olympics opening ceremony. A mainstay of state-run programming since the 1980s, “CCTV Spring Festival Gala” attracts hundreds of millions of viewers to watch hours of comedy sketches and kitsch song-and-dance acts often heavily imbued with patriotism and themes emphasising national harmony. But the show has also come under heavy criticism in recent years for being overcommercial and not keeping up with the times, and for trotting out presenters who fluff their lines and celebrities who do a poor show of miming their way through songs. Officials from China’s State Administration of Radio, Film and Television (SARFT) had demanded producers pick “real” singers, along with other directives about arranging songs with “healthy” lyrics, a report posted on web portal China.com.cn said. “Firstly, make real singing as the benchmark, and choose talented performers who can truly sing. Firmly put an end to ‘miming’,” Zhao Huayong, a SARFT official, said in a notice posted on the watchdog’s website (http://www.sarft.gov.cn ). Zhang Ziyi, one of the few Chinese actresses to break into Hollywood, came under fire from Internet users and local media for doing a shabby job of miming on the last show in February. The SARFT notice follows a move by China’s Culture Ministry to formally ban lip-synching and to revoke the performance licences of repeat offenders, local media reported earlier this month. Chinese Olympic organisers were also lambasted after they admitted a nine-year-old girl lip-synched during the opening ceremony of August’s Beijing Olympics in place of the real singer who was rejected because of her appearance. 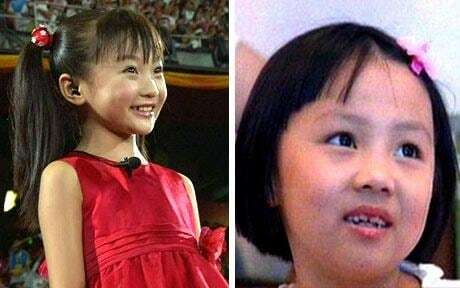 An official revealed that nine-year-old Lin Miaoke lip-synched her performance at the Beijing opening ceremony. You are currently browsing the archives for the lip-synching category.